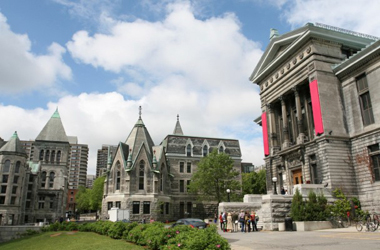 McGill and four other Canadian universities placed in the top 50 on Time Higher Education’s The World’s Most International Universities list for 2017. The rankings heavily favour schools with a tendency to ignore borders when setting up research collaborations and to have large populations of foreign staff and students. The rankings are drawn largely from the “international outlook” column from the THE World University Rankings 2016-17, along with THE’s Academic Reputation Survey. Many of the highest-rated schools are from smaller, export-minded countries. McGill places at number 23, with a score of 86.4 for international staff, students and co-authors. The list includes 150 schools.